When you think of going on an island vacation in Southeast Asia, the Thai islands undoubtedly come to mind. With their dramatic coastline and turquoise blue waters, they are hard to beat. 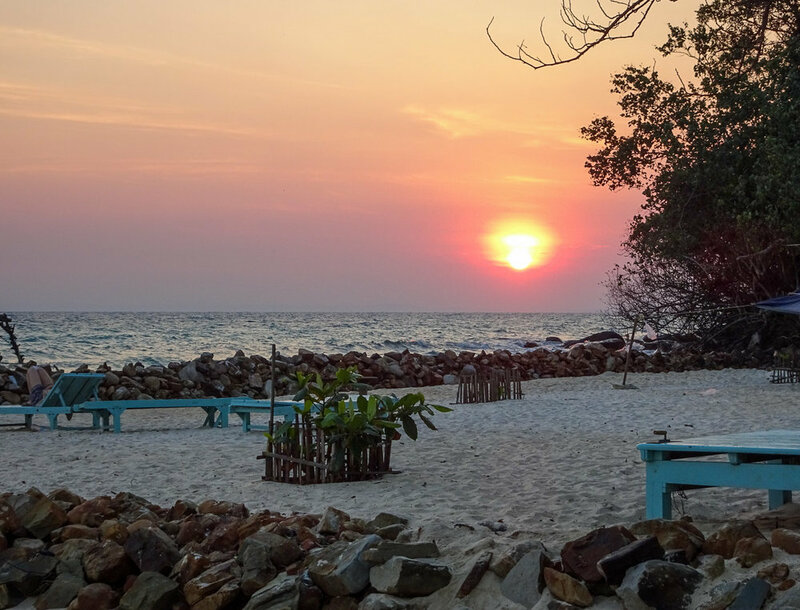 While the Thai islands are certainly beautiful, they have their draw backs as well – namely that they are crowded and can be quite the party scene. After spending a week on Cambodia’s Koh Rong Island, we believe that we have found the best tropical vacation spot in Southeast Asia! 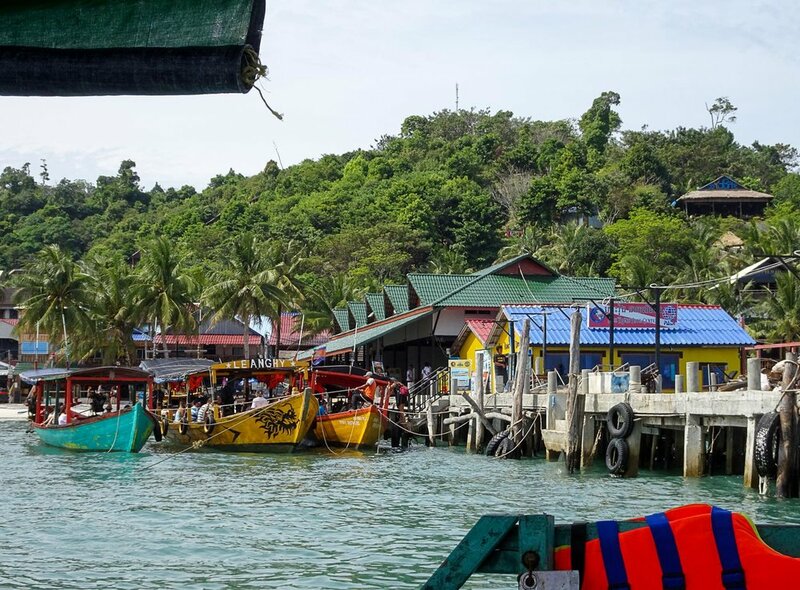 Getting to Koh Rong is easy. We opted to take the night bus (to save money on accommodation) from Siem Reap after spending a week exploring the ancient temples of Angkor Wat. The night bus was certainly an experience! The foam “mattress” more resembled a yoga mat, sleeping was difficult because the driving was erratic (like everywhere in SE Asia), and the thin blankets did little to keep us warm. That said, we reached our destination, the port in Sihanoukville safely and on-time! We then hopped on a speed boat for an easy 45-minute ride to Koh Rong. We knew we were going to have a great week as soon as we saw the beach. 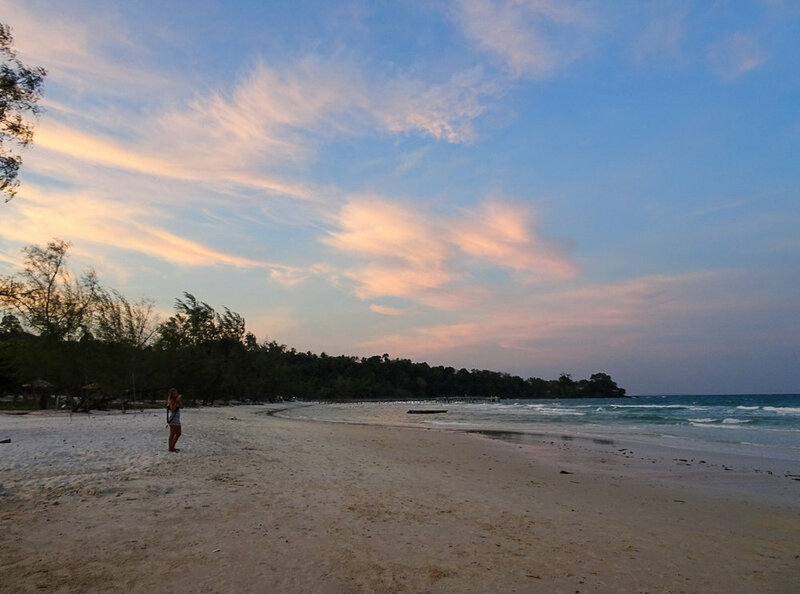 Koh Rong is quite a large island with several different areas to stay. There are no roads, cars, or even ATMs on the island, so you pretty much pick a beach and you stay there. As you will see later, you can take day trips around the island by boat. We opted to stay on Coconut Beach, in the Coconut Beach Bungalows resort and it was everything we hoped and dreamed! While we could have stayed in a bungalow on the hill, we went with a different option: a tent on the beach! Boasting a king-sized bed and WiFi, it had everything we needed. Our days were spent watching sunrise, relaxing in the sun, reading, drinking Klang beers, and swimming in the crystal-clear water. One of the days we got adventurous and took a boat tour around the island. We went fishing, snorkeling, swimming at a deserted beach, explored the main town, ate the fish we caught, and even drank Cambodian Rum (gross but of course we loved it). Under the Pier with Klangs! The nights consisted of watching sunsets, bon fires on the beach, swimming with the phosphorescent plankton (which we don’t have any pictures of but it is truly one of the most amazing experiences we’ve ever had), lighting off floating lanterns, and drinking/playing games with other travelers. It was paradise! 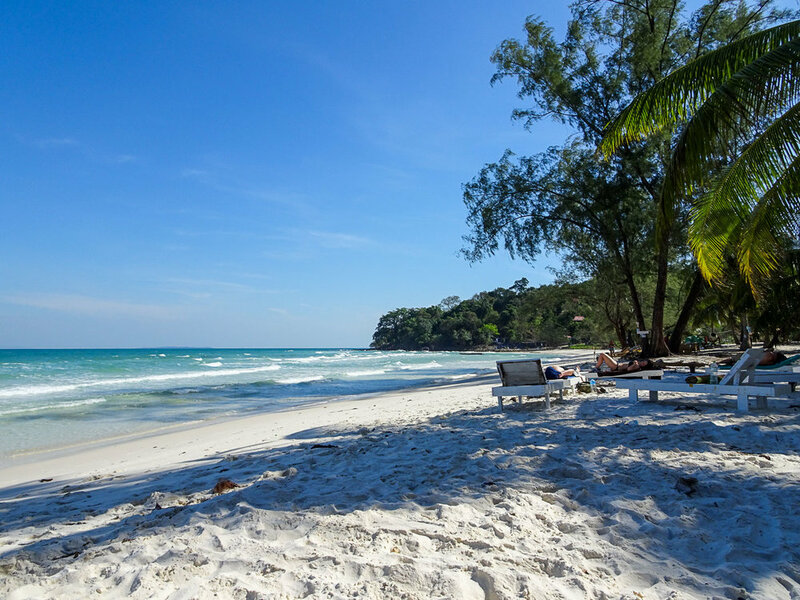 So, if you are looking for your next tropical vacation spot, seriously consider Koh Rong! It probably won’t stay this low key for much longer, so make sure you get there in the next couple years! And stay at the Coconut Beach Bungalows and tell Robbie and Pia we said hi!